Jane Hardy at Peter Insull's Yacht Marketing sends word of a price reduction of more than €500,000 on the 60m berth in the port of Cap d’Ail which she's offering for sale. Jane tells me this is a great opportunity for any 50 - 60 metre yacht owner frustrated by the difficulties in finding a berth on the Côte d'Azur during the summer months. 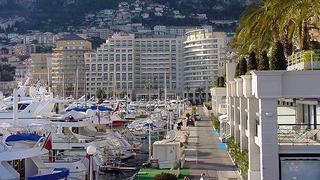 Not only located within steps of Monaco itself, the port of Cap d'Ail is also easily accessed by helicopter or by road and there is even a new access tunnel to the adjacent Fontvieille area to be completed before the end of the year. This berth is now priced at €4,450,000.